“Coaching is a lot like gardening: the coach weeds out negative thinking and behaviour and plants the seeds of possibility. Through nurturing new paradigms, providing food for thought and watering the will to take action, new growth takes place and what was first budding begins to bloom in the coaching client. showcase – offering an alternate perspective that was not only well received but also refreshing. my career, friendships and family life." to be very difficult situations in communication. instead of looking to what is wrong and who is right. from where we can build on our strengths. I don't know where my business would be today without Hani's coaching and guidance. She is an incredibly supportive person and an asset in my team!" being patient in listening and succinct in responding"
between CPUT, the COCT and the public. 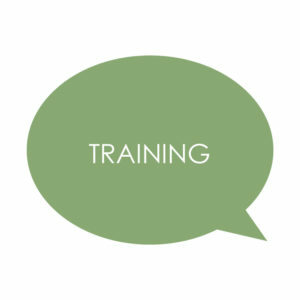 "This course upgraded my Facilitation Skills significantly. Everything was perfectly pitched and Hani is an outstanding facilitator. The best thing about the course was that Hani not only teaches the material effectively but authentically demonstrates facilitation in the process. My team is excited about the opportunity to implement the learning with our client engagements." as well as the excellent content and the activities. I look forward to the coaching that supports our training." "Hani is full of knowledge, insight and experience. I enjoyed most how she related her own life experience to the theoretical knowledge on the concepts of Performance Management, Coaching and Mentoring. I think as a trainer and coach, she is a motivator. She is firm and she will tell you exactly what you don’t want to hear in a positive way that will encourage you to do something about it. In a nutshell, her courses are an eye opener. I would recommend her in particular for training in Performance, Coaching and Mentoring." "Through this course I identified what’s needed to improve my personal and professional relationships. Hani is well informed and involved everyone in the group in a comfortable easy-going manner. to share throughout the three day training. I love that we used realistic day-to-day situations for applying critical thinking. confidence by improving my listening, communication and creativity."